Francis was a scholar, writer, spiritual guide, pastor, diplomat, bishop and Doctor of the Church. He had some great cutting edge ideas. He was the first to print religious pamphlets which he slid under people’s doors when they wouldn't open the door to his preaching. He was the first to give deep spiritual direction to lay people, believing they too could have a close relationship with God, even in the midst of their busy secular lives. 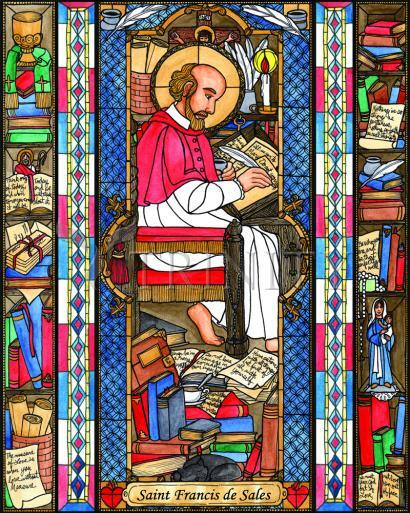 He wrote hundreds of letters and two books which are still Catholic classics today. He made people feel good, revealing to them the gentle heart of God.